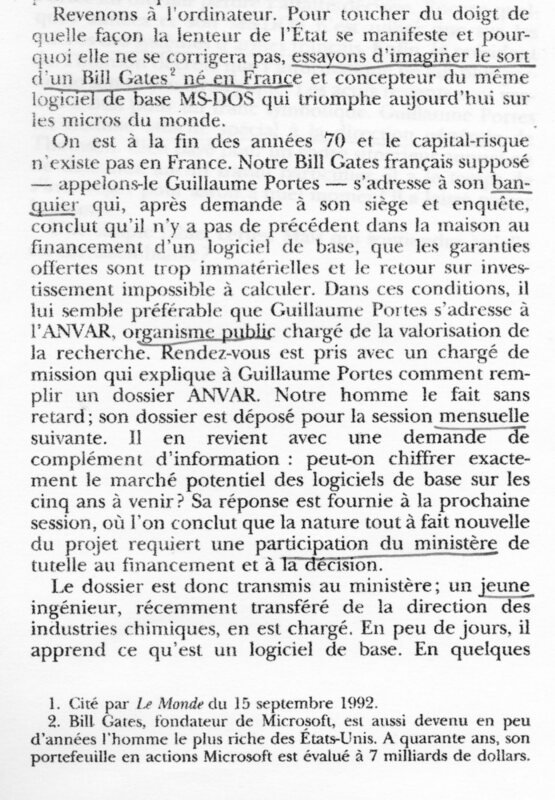 Is a French Bill Gates possible? 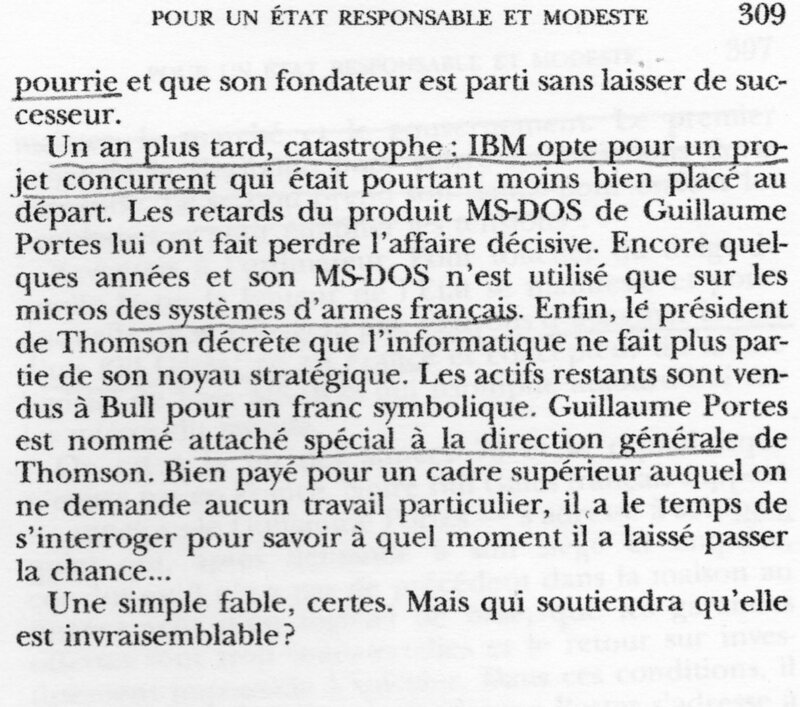 This is an excerpt, unfortunately in French, of a very good book published in 1993. 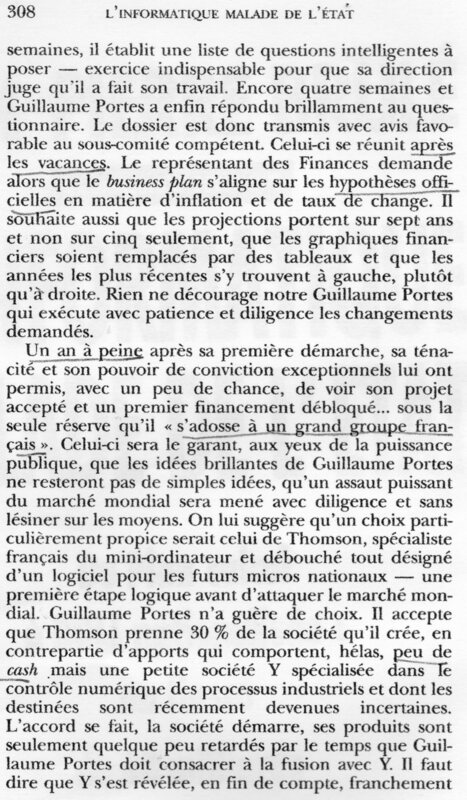 A former president of the French computer firm Bull explains why everything went wrong for the French computer industry because, among other reasons, of the inappropriate policy of the French state. 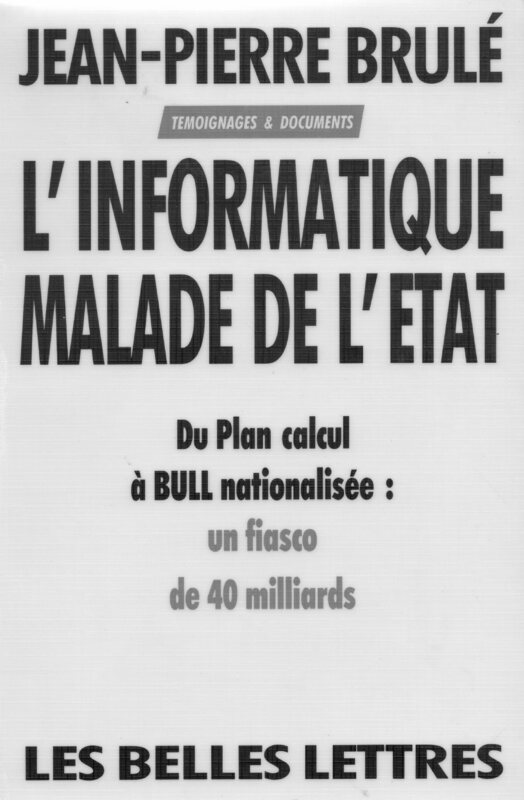 To related pages : French state, French science, intercultural differences, etc.